Brian was a central defender signed from Tyncastle Boys Club, and was part of United’s youth team in 1984. Within a year he was playing in the reserves and was also in the Scotland school, under-16 and youth international squads. 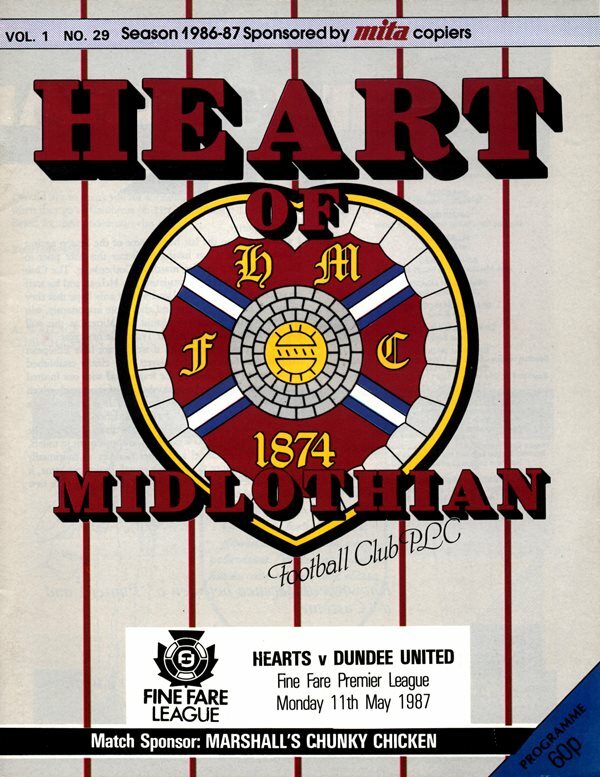 He made his first team debut against Hearts at Tynecastle in May 1987, as manager Jim McLean made use of the younger players for league matches towards the end of that campaign, as the club prepared for the UEFA and Scottish Cup finals. He was part of the Scotland Under-19 side who reached the semi-finals of the European Championships that year. 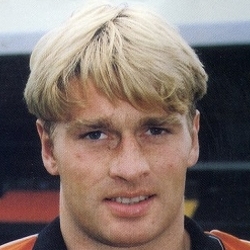 In competition with several established first team players, it took until the 1990-91 season before he gained a regular starting slot in the first team, and by 1993-94 he was first choice in the United defence. 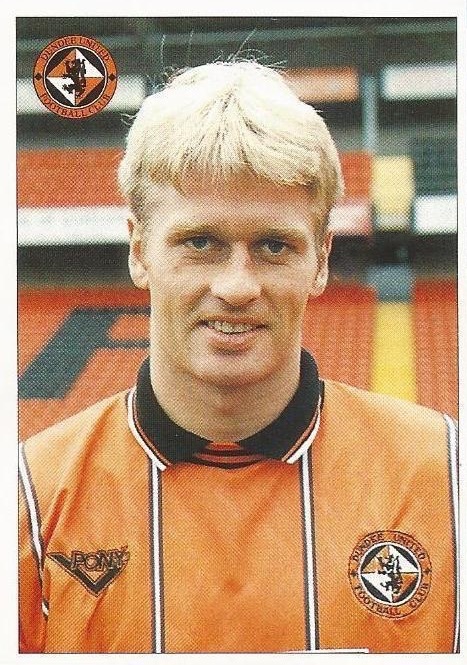 He scored crucial goals in the Scottish Cup that season, with a winner against Motherwell at Fir Park and a late equaliser at Hampden against Aberdeen in the semi-final. In the final at Hampden, alongside Gordan Petric, he kept a treble hunting Rangers side at bay as United lifted the Scottish Cup for the first time in the Clubs’ history, collecting a memorable winners medal. He was a regular in the side which encountered relegation at the end of the next season. A potential move to Barnsley fell through in August 1995 and Brian stayed with United for another year. After a tough campaign in the First Division, Brian netted what was arguably his most important goal for United. With just forty seconds of normal time remaining in the play-off second leg against Partick Thistle, he headed the equaliser that took the match into extra-time. Owen Coyle then scored the winner to propel the Club back into the top flight. At the beginning of the next season Brian left to join Hibs for a fee of around £200,000. He spent three years at Hibs but his career was hampered by injury. 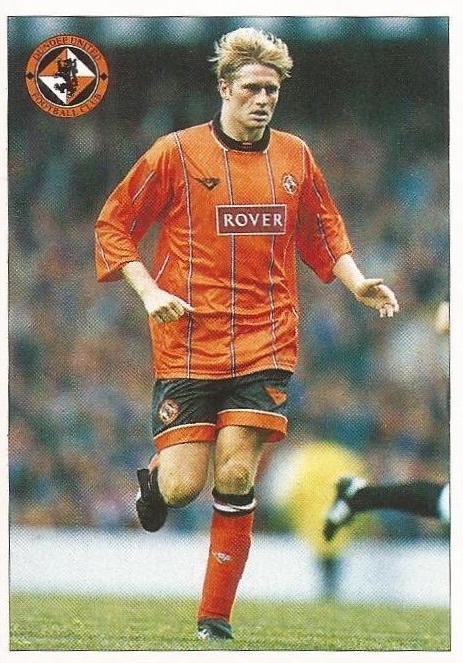 In March 2000 he joined Stenhousemuir after a short period out of the game. Six months later he was with Clydebank, before moving to Cowdenbeath in April 2001. Brian took up a coaching position with the Fife club a year later, and in 2006 he became their manager, succeeding former United team mate Mixu Paatelainen. Leaving the Central Park side in June 2008, he returned to the game in July 2009, as assistant manager and head of youth coaching at Livingston. He subsequently moved to the United States in 2012, where he became heavily involved with youth football in Virginia. Brian was born on this date in Edinburgh.